Oakfield Caravan & Social Club in Kinmel Bay has accommodation. The pub has aircon, it welcomes customers with campervans. Oakfield Caravan & Social Club has a beer garden. The pub has a car park, it has disabled facilities. 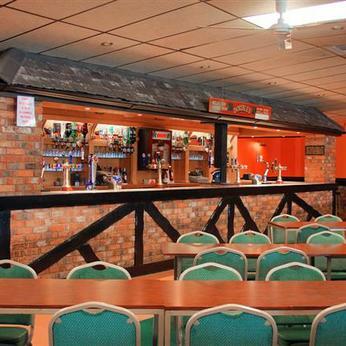 Oakfield Caravan & Social Club is a family friendly pub. The pub serves food, it has an outside area. Oakfield Caravan & Social Club has a smoking area. The pub has free WiFi, it has DJ's. Oakfield Caravan & Social Club has karaoke. The pub has live music events, it has a pool table. Oakfield Caravan & Social Club holds quiz nights. The pub shows cricket on TV, it shows football on TV. Oakfield Caravan & Social Club has the Racing Channel. The pub shows rugby on TV, it has Sky Sports. Oakfield Caravan & Social Club has terrestrial TV.